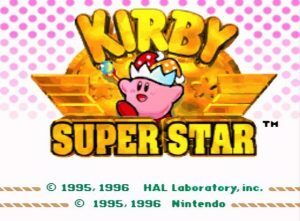 I’d played a few early Kirby games and I thought they were alright, but it was when I played Kirby Super Star that I realised it was a franchise with enough quality to stand side by side with the ‘giants’ of Nintendo that everybody loves. The structure of the game is a little unusual, in that it is broken down into several sub-games with a loose over-arching story. I don’t know anything else which has done this – especially not any 2D platformers. The first of these sub-games (Spring Breeze) is a simplified remake of Kirby’s Dream Land. Unfortunately, one or two levels are missing, but if you’ve never played the original, this is a good substitute. It’s nicer visually and it has Kirby’s copy ability (which the original does not) so it is a pretty good remake. The next one is something original: Dyna Blade. It tells the story of a giant bird causing trouble in Dream Land, which causes Kirby to step up and to sort things. It’s a bit basic, to be honest. It’s certainly not badly made: levels are fun enough, controls are fine and the music is quite good, but it does come across as a bit of a generic 2D platformer to me. I suppose that might just be because I’ve played so many of them. The rest of the game, however, is anything but generic. The next one is The Great Cave Offensive, which is basically Kirby deciding to go treasure hunting. While this may not sound that interesting, it may be my favourite part of the game. You’re put into an open 2D world and can explore it as you please. Not only does this world look really good in all its 16-bit glory, but the soundtrack is fantastic as well. To make things even better, many of the treasures are references to other Nintendo games! You can collect the triforce, ‘Kong’s Barrel‘ and even a Mr. Saturn! 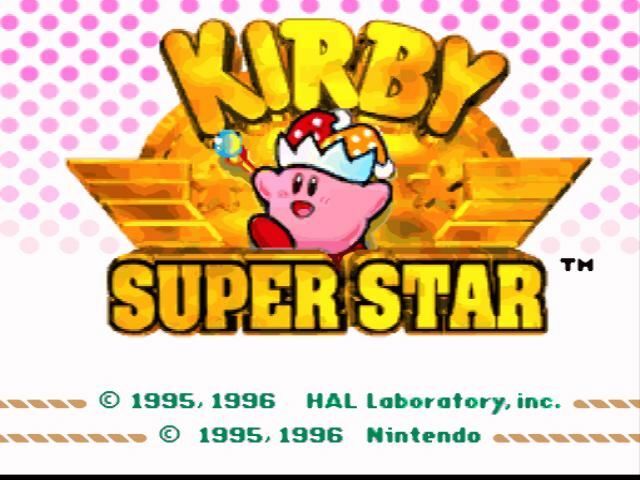 If Kirby Super Star was just The Great Cave Offensive, I’d still love it. Next up you have Revenge of Meta Knight, which sees Kirby coming up against Meta Knight on board his ship, the Halberd. What surprised me about this game was just how intense it was. The music, the visuals and everything else about it made it feel like it was coming from a realistic action game and not a game about a friendly pink blob. Quite a change of pace after The Great Cave Offensive, as there’s not really time to explore now – you really need to hurry through each level if you want to survive. In general, it makes Meta Knight a lot cooler. The final game is Milky Way Wishes, which acts as a finale to the game. You’re given the freedom to choose which order you do the levels in this time and, once again, things get quite serious… they also get pretty weird. I don’t really want to spoil anything, but it will defy your expectations and you’ll have a lot of fun along the way. There are also a couple of mini-games included, which never really appealed to me that much. There’s Gourmet Race (footraces between Kirby and King Dedede), Megaton Punch (press buttons at the right time to do hard punches), Samurai Kirby (a quick draw game) and The Arena (a boss rush.) I guess they pad the game out a bit, but I didn’t feel they had much substance to them. Nonetheless, this is a game that I strongly recommend and one of my favourite SNES games. Plus, one nice bonus is that you can essentially play the whole game in co-op mode with a friend, which is pretty cool. So, whether you want a multiplayer experience or a single player experience, this game has you covered.